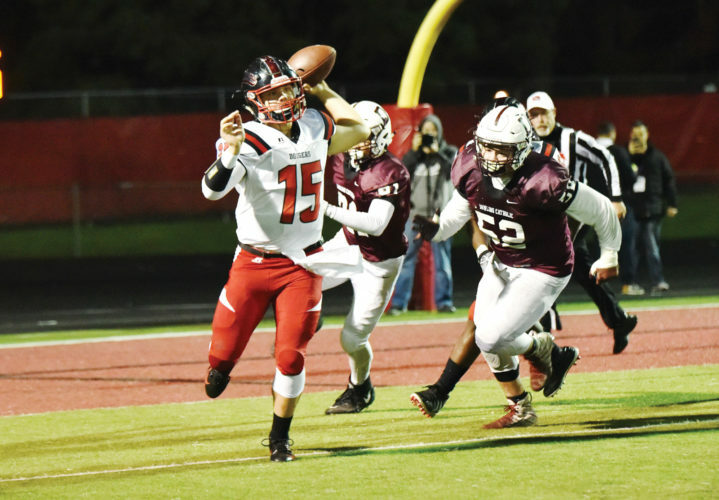 SAC CITY – South Central Calhoun earned a playoff spot, finishing the season with one district loss. 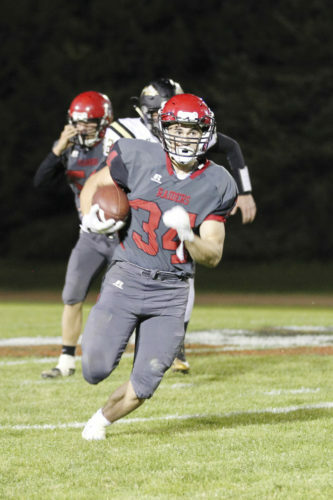 The Titans (7-2 overall, 6-1 district) defeated East Sac County (3-6, 3-4) 49-6 on Friday night and finished second in the district to fourth-ranked Carroll Kuemper. Kody Case and Jonathan Frantz had three touchdowns each. 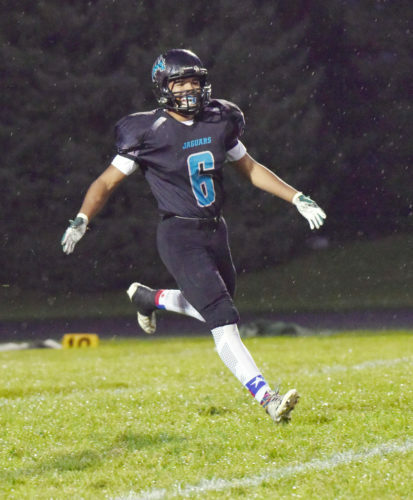 Case had rushing scores of two, 15 and 57 yards. Frantz ran for a one and eight yard score. He also caught a 23-yard strike from Hunter Muhlbauer. Case finished the night with 151 yards on 13 carries. Frantz had 50 yards on seven carries. 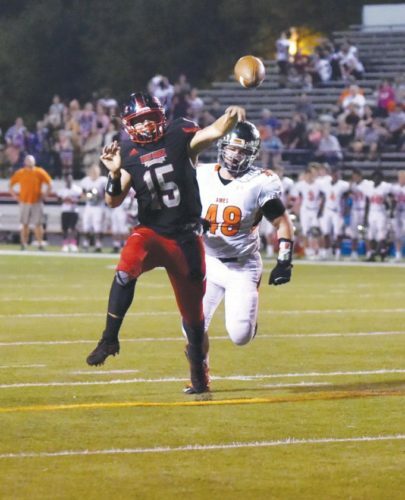 Muhlbauer was 9-for-14 passing for 150 yards and two scores. He also threw an eight-yard score to Chase McAlister. Case had 67 yards receiving and Frantz had 63.